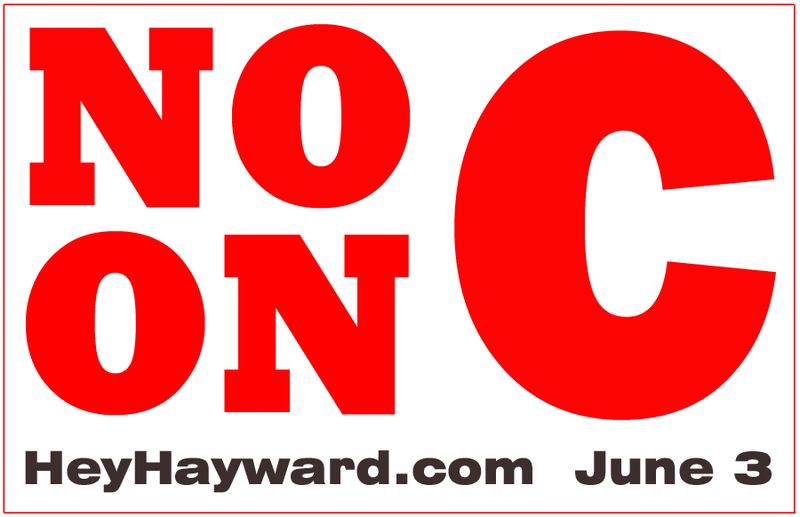 It won't be long before you start seeing some fancy "Yes on C" campaign materials distributed by an organization called the "Committee to Protect Hayward's Future." They'll show images of noble fire fighters, police officers, and of course, adorable little children reading books, aww. The deep pockets that fund these campaigns for higher taxes (yeah, you know who they are) are preying on the fears of the gullible who believe that if we don't grow the city's payroll by passing this tax, our future and that of our children will go unprotected. Do not dismiss the effectiveness of this obvious ploy. After all, it worked just 5-years ago to pass the 5½-percent utility tax. Why wouldn't they come back for more using the very same arguments and images from their prior campaign? On this side of the struggle, all we have is a grassroots effort. There are no committees and no special interests funding anything here--no professional websites, no flashy mailers, and no print shop signs. All we have is this humble blog and its companion Facebook page. With no funding, we're at a huge disadvantage when attempting to reach out to the disconnected and the uninformed. Therefore, if you believe enough is enough, and that the City needs to operate within its means just as you and everyone you know has to, then get involved and spread the word. Now I'm no graphic artist; so if there's anyone out there who can do better (as I'm sure there are), please contact me and propose/prepare alternative sign designs. I'll post or add a link to any decent new designs. 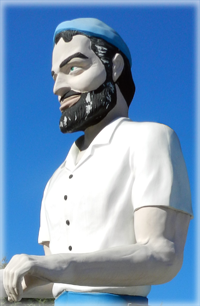 So be sure to visit here again anytime before the election for possible updates. Single 8½ x 11 letter size sheet "NO ON C"
Single 8½ x 14 legal size sheet "NO ON C"
Single 11 x 17 ledger size sheet "NO ON C"
Three 8½ x 11 letter size sheets "NO ON C"